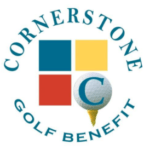 We want getting started at Cornerstone to be as simple for you as possible. On this page, we are providing you with some helpful information. If you don’t see something you think you might need here, please call our office at 217-222-8254 and we’ll be happy to help you. For your convenience, you can download our registration form and fill it out before your first appointment. Cornerstone is dedicated to making our services affordable for everyone through several methods. We accept most insurance and Medicare. Our business office will gladly direct bill your insurance company. Many local companies offer an Employee Assistance Program, or EAP. Call our office or your Human Resources department at work to find out if your employer offers this EAP benefit. There are special programs for families who have adoptive and subsidized guardianship children in their care. Please ask us if you qualify. Our sliding fee scale program is available for people who do not have health insurance or other means to pay. Ask us about it.